Are you confused about how to attract your ideal clients? 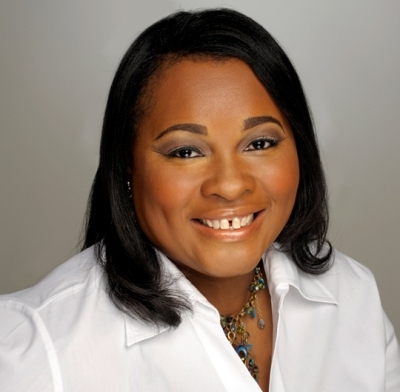 I am happy to present a great guest post from Cheryl Pullins, founder of The Woman Entrepreneur’s Mentor, who provides us with the basics of locating and engaging with our target audience. Thanks, Cheryl! Client attraction, ideal clients, target market, target audience – no wonder we can be confused and unsure about the activity we should be engaged in to get new clients. Do you find yourself trying to figure out what you should do first? Where you should start? Do you feel a sense of overwhelm when you try to have it all make sense? Today is a great day to lay the foundation and start at the beginning of how an entrepreneur gets new clients. Just so you know, the beginning is not branding, marketing, logos and websites, but the beginning starts with you. You may be thinking, “Why would I need to start with myself? I’m not trying to attract myself as a client!” No, you are not attracting yourself as a client, but there are a few things YOU must know to attract the ideal client to your business. Because not only do you want to attract them, you want to convert them into a client. Sometimes we stop at the idea of attraction without moving to the next step which is conversion. Of the three points I will share, the first two are important to the success of positioning yourself to attract the ideal clients you want to serve. The first point is clarity. I speak of clarity using a four-point approach. It is vital that you become crystal clear about who you are, who you serve, why you serve them and how you will serve them. Theoretically, if you can answer these four questions you will understand the mission of your business, and make it easier to develop your messaging specifically for those in your target market. The second point is developed out of the first. While you are exploring “why you serve” your market, pay close attention to the one thing that will add tremendous value to your attraction positioning – their pain point. Know what concerns them, what they worry about and what wakes them in the middle of the night looking for a solution. You may be wondering, “How am I going to know their pain?” There’s a pretty easy answer to that question. You will ask them. There are multiple resources available that you can use to ask your target market what keeps them up at night. You can use online surveys, send a brief email to your list, on the spot surveys or be creative and combine them all for great results. Discovering the previous two points will lead you to my last point. Find where your target folks are hanging out. Oftentimes we immediately exert our efforts to the more popular social networks, Facebook and Twitter, however, your ideal clients could be on LinkedIn. Or better yet, they may “hang” in an online forum that is not connected to any of the social networking sites. Attracting your ideal client takes a combination of planning and execution. It goes beyond the attraction and converts into a long-term win-win relationship. 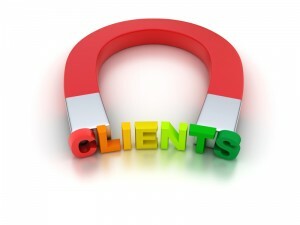 What are your biggest challenges when it comes to client attraction? This entry was written by Dr. Shannon Reece, posted on March 13, 2012 at 6:00 am, filed under Guest Posts and tagged Cheryl Pullins, client attraction, small business tips, strategies for women, target audience. Bookmark the permalink. Follow any comments here with the RSS feed for this post. Post a comment or leave a trackback: Trackback URL. I loved this article. It’s the basis for all things entrepreneurial. From clarity to WHY you want to serve a particular community is will decrease your time running around trying to serve everyone and becoming exhausted. Thanks for the article. Client attraction has not been as much of a challenge for me since plugging in with Cheryl and other awesome women in the WAHMs WIN community who have taught me well on this topic. Thank you for your excellent expertise, Cheryl, as a board member and as a friend. This is a great article and I am passing it on. Thank you Dr. Reece, for sharing! I look forward to reading more of your articles here, also.